Talking about the time before October 2010, did you ever even thought to communicate anyone in this world, no matter whether it’s any celebrity, famous personality or any other common man? - That's’ what a true social media does. Instagram is gaining popularity at a very high speed. People are loving it! The uniqueness of Instagram lies in the fact that it removes the communication gap between famous personalities and a common man. Everyone is following his favorites, role model and even favorite companies. This is the reason why Instagram, only in 8 years has reached over 1 billion active users. No doubt, these all factors directly affect Instagram marketing. From a marketing perspective, Instagram is also known as a money spinner. Already 70.7% of the world’s businesses are on Instagram, this includes all the online business, local businesses and even many MNCs’. I am pretty much sure till now, you don’t have any reason left for ‘not promoting’ your business on Instagram. To kickstart your business in Instagram the primary and obvious step is to sign up for a business account rather than a normal account. If you have already signed for a normal account, go to your profile settings and switch to the business account. Thinking about “how I’ll stand apart and make my brand visible in this competition?” Well, here are some of the easy and most important steps to fire up your business. More than 60 million posts are being uploaded to Instagram every day. Your posts are the first thing from which people judge you and your business. Make sure your posts are rich in content and contain bright contrast, as this brings a clear vision of your product. In the case of videos, try to apply the logo of your brand in the beginning or throughout the whole video. This will really make people your logo memorable. Make videos short and concise, long videos usually makes people feel irritated. Many people also want to see the scenes behind your business. This is the place where you can brat your personal lifestyle. Again, your picture and video should be of remarkable quality. 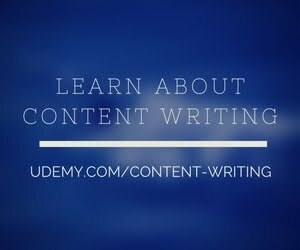 You are expected to make more and more engagement through your stories. From the help of stories, you'll be able to build the trust between you and your followers, as a person will have full satisfaction by clearing the doubts what he is buying or using, where the product is coming from and all other basic questions. Always keep in mind through a story, you are showing your lifestyle and background. So, don't post irrelevant or unnecessary post, that may create a bad reputation of your brand or any conflicts among your followers. If you have less amount of money to spend, try advertisement partnership. It really takes very less money but, its effective rate is very high for reaching a new audience. One of the strange impacts which happened due to Instagram is, the gap between a famous personality and a common man is depleted, it is changing the whole hierarchy. On which stage you will set a person who has 20k followers? Try paid advertisement partnership with these people. It will really help with a small amount of expense. Taking this case as an example you will get an opportunity to reveal your product to all 20 k people, thus predicting huge sales. Choosing the right people for advertisement partnership you'll just boost your brand. Consistency is the most important factor in every aspect of life. Even here, to win over the Instagram you should show the engagement with a regular period. One post daily is good engagement between you and your people. Try to make a pattern of themes in a post, by this people will get an idea of what they are about to see. To gain a good reputation and love from your followers try to send personal messages to everyone on special occasions. Yes, this is a bit time-consuming process, yet valuable. Instagram has really taken marketing to the next level. It is helping millions of people to earn tons of money and gives a drastic improvement in business. You won’t deny the fact that 56% of Instagram users make more than 50,000 dollars per year. By following these easy tips, you, even as a beginner can start building your brand. Don’t lose your faith, in the beginning, it usually took a few months to achieve a good number of followers. Just shape your planning and start taking practical steps. 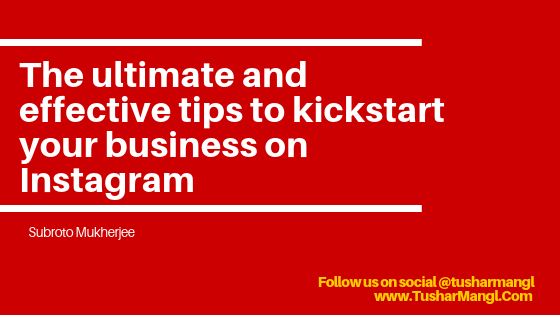 These are helpful tips to start up a business on Instagram!! Thanks for sharing! !